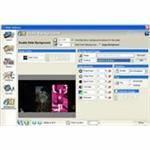 Photodex ProShow Gold is a solid application that allows beginners to quickly make slideshows and more experienced folk to create impressive layouts and effects. With multiple output formats to choose from, ProShow is a great product. 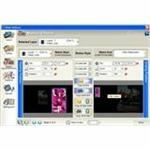 Photodex ProShow Gold is the gold standard of slideshow applications, at least among the applications I tested. It's clear that the usability has been well thought out and given the choice of output options from DVD to screen saver, it's something that everyone will find useful. In addition, publisher Photodex lets you host your slideshows for free on its website. Everything about this product feels professionally done and almost everything works just how you would expect. I didn't have to turn to help for anything. The installer is simple, with no complex choices or options. After the files are copied, an additional installer is run. This installer informs you that it is "updating the SCSI layer." It then tells you to ignore any warning windows about unsigned drivers that may destabilize your system. 1) What is the SCSI layer and why do I need it? 2) Why does a commercial product ship with unsigned drivers? I am not filled with confidence of the quality of a product that chooses to avoid the Microsoft testing process. In the end I never saw the dialog--maybe XP SP2 ships with the driver included? Either way, this is not a good first impression of a product. At $70, ProShow Gold is among the more expensive of the slideshow products I reviewed, but the extra $30 is worth every penny in terms of the features that you get. It's very obvious that this product is from a company that sells high-end products to professionals. The only downside is that $70 is often a stretch for casual users. There is a product called ProShow Standard at $30, which may be more suited to casual users' budgets, but with less functionality--see http://www.photodex.com/products/proshow/compare.html. The user interface is fairly logical, though possibly overwhelming to begin with. The top left-hand corner is a file browser for images, videos, and sounds. The lower part of the screen is the slideshow. You simply drag and drop the files into position. Editing the slideshow is handled through drag-and-drop or through a set of dialog boxes that give you very detailed control. Assigning transitions and random motion effects can be done without delving into the dialog boxes. The final part of the screen is the preview window which has the usual VCR controls as well as the option to go full screen, which is nice. While I found the user interface well laid out, I can see how some may find it complex if they are used to simpler wizard-type interfaces. The editing dialog boxes are not re-sizable, which means they are rather crowded at times. I did discover a (non-obvious) icon that makes the dialog box full-screen, which helps but is quite odd because the full-screen version is different from the smaller version, often missing some functionality. Everything was very performant on my laptop. Thumbnails appeared instantly, and previewing (which is available from just about every dialog box) was instant and suffered from no glitches, even when run in full-screen mode. When you create the final output, be it to DVD or to Flash, the rendering can take a few seconds for small slideshows (and presumably longer for more complex sideshows), but you can watch the rendering progress. Based on the progress dialog box, I am led to believe that rendering will use multiple CPUs if they are available. Support is available with a 1-800 number, or via email on the ProShow website. I had no need to contact support for this product, so I cannot comment on response times. There is no online FAQ for common issues and no forums for community support. The slideshow editor allows both images and movies to be added. The transitions and motion work just as well on movies as they do on still images, which is great. Imagine a movie transitioning in with some effect, and then sliding across, scaling, and rotating, all while the original movie is actually playing. Transitions and motion can be added for each slide or randomly assigned for the entire movie. Background music can be added for the whole slideshow and the movie can be synchronized to the length of the music. In addition, voiceovers and individual sounds can be added to each slide. Each slide can be edited to have multiple layers, with each layer being another image or movie. Motion can be assigned to each layer separately, meaning you can have one image appearing from the left and passing another appearing from the right. Images can be cropped, scaled, and rotated as well as treated with the usual effects such as brightness and red-eye removal. Each of these option has plenty of configuration possibilities for size and bandwidth settings. If the output is to disc, ProShow burns it for you. I would like to see a potential security warning for the web shows (which require an ActiveX control) and the email/.exe options (since many spam filters will reject .exes). Most people will use other options to get around these, but it's not obvious to people who are not computer-savvy why these options are not always the best. Photodex ProShow Gold could possibly add a quick "wizard" approach to make a slideshow for those users who prefer a very, very simple UI. This could introduce them to the more complex UI. Photodex ProShow Gold is easily the best of the bunch of the slideshow software packages I've reviewed. Feature-wise, it's head and shoulders above the rest, but also manages to maintain a simple approach if you just want to make a quick slideshow with some random transitions and music.